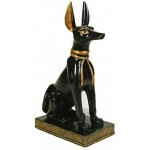 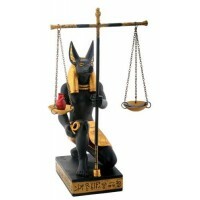 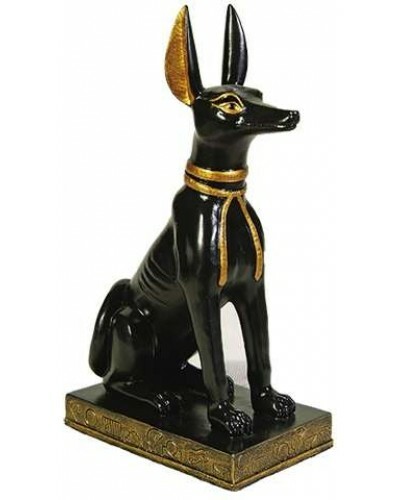 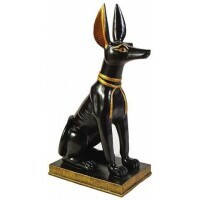 This classic statue of the Egyptian God Anubis as a jackal dog is 5 inches high in black and gold. This black and gold cold cast resin statue of Anubis as a Jackal is 5 inches high with gold detail and hieroglyphics around the base. 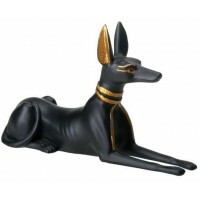 Item Number: PT-7713 | Approximate Size (Inches): 2.00 wide x 3.00 deep x 5.00 high | Approximate Shipping Weight: 1.00 lbs.